A mysterious fellow helps a town overrun by rats by using his magical charm. Based on The Pied Piper of Hamelin and Robert Browning’s classic poem, this enchanting new family production with a surprise happy ending is told through song in traditional operatic format written by Artistic Director Richard Mills. 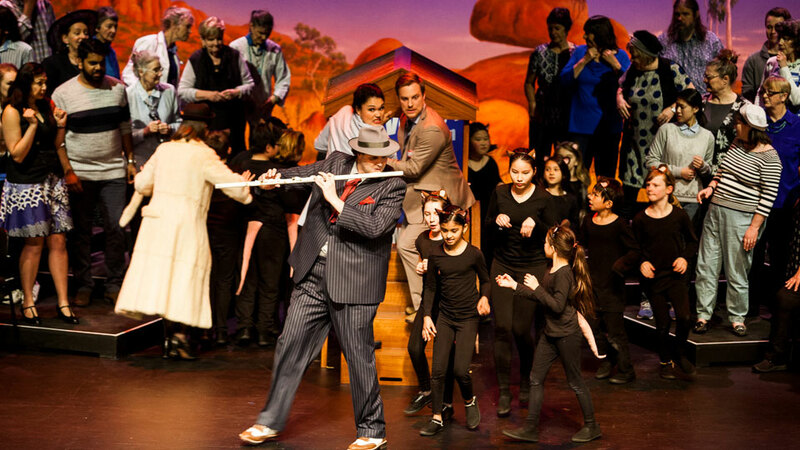 Adults and children from the community perform alongside Victorian Opera’s developing artists and a chamber orchestra to tell this classic story with new perspectives. The townsfolk, rats and school children are all members of local community choirs.